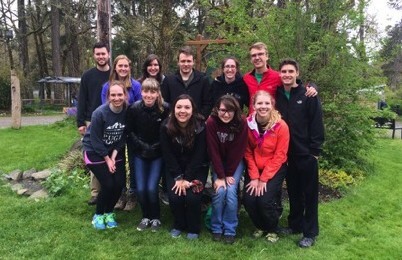 There are a number of opportunities for members of the community of biologists at Puget Sound to get together outside the classroom or lab. 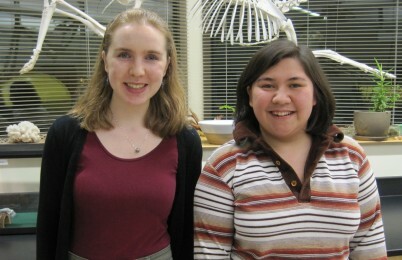 Phi Sigma Biology Honor Society, a national biology honor society, elects outstanding students each year. Phi Sigma organizes social occasions for students and faculty, staffs a free tutoring service, and cosponsors the annual Undergraduate Research Symposium in April at which students in all the sciences present the results of their research projects. Elements Science Magazine is a student-run publication for general audiences featuring articles on student research and interesting scientific topics, including science satire. Students can get involved as writers, editors, photographers, and illustrators. For more information email elements@pugetsound.edu. The science division sponsors the Thompson Hall Science & Mathematics Seminars every Thursday afternoon that students are encouraged to attend. Distinguished faculty and visiting scientists present talks on their research, and science students who conducted research during the summer on a Murdock Summer Research Grant present their findings in a poster session early in fall semester. Each semester the department hires several student course assistants who work in classroom labs with professors. Some of their duties include helping students during lab, grading papers, and keeping the lab neat. Any Puget Sound student may apply for these positions, regardless of financial aid eligibility. Applications are accepted starting registration week each semester. See the bulletin board outside Thompson 267 to pick up an application. At the end of each school year, the department sponsors the Biology Picnic. 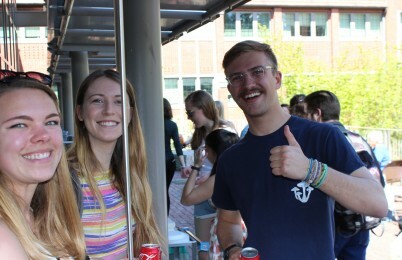 This fun event features great food and a chance to meet with friends and faculty before everyone disperses for the summer, and winners of department awards are announced. See the latest news, information, and pictures, and find us on Facebook. Storeroom assistants are also hired by the department to assist the storeroom staff in setting up labs, cleaning equipment, and taking care of animals. These are federal and state work-study positions available through Career and Employment Services.